Provides complete solutions to recover lost data from any storage device. 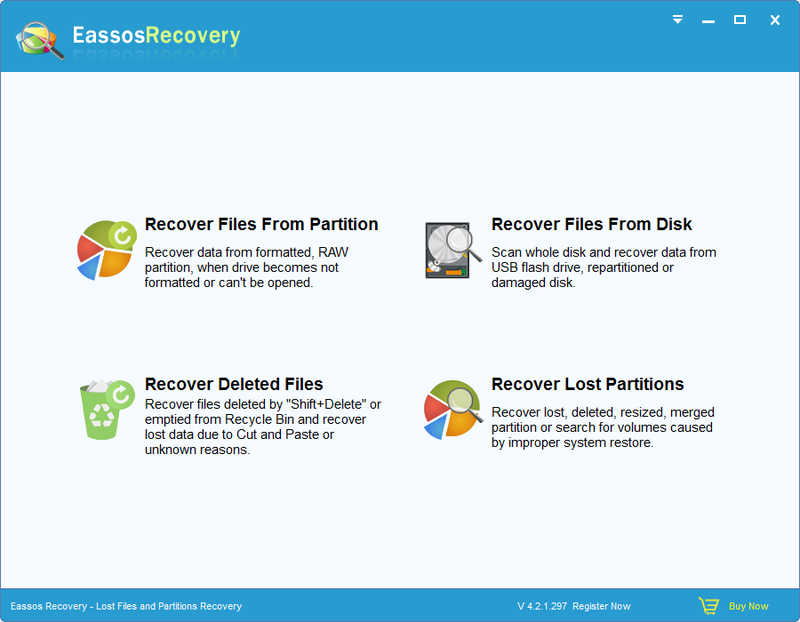 Eassos Recovery 4.2.1 was available as a giveaway on June 22, 2017! 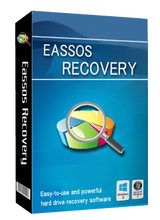 Eassos Recovery is professional data recovery software which provides complete solutions to recover lost data from any kind of storage devices with easy steps. It helps to recover data lost due to deletion, formatting, partition corrupt, RAW drive, etc. easily and safely. Clear and intuitive user interface directs you to recover lost partitions or files step by step. Preview files before recovery. File preview feature is supported so that you can make sure whether data can be recovered correctly in advance. It’s safe and risk-free. 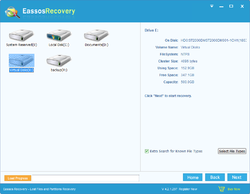 The recovery process is read-only and does not affect or overwrite original data. It supports recovering data from FAT, NTFS and exFAT drives and partitions. How would you improve Eassos Recovery 4.2.1? PartitionGuru Pro is professional partition manager & data recovery software for laptops, PCs and servers. It is not only able to easily resize, create, format, extend, split, hide, clone, delete or backup partitions, but also recover deleted or lost files and partitions from HDD, flash drive, virtual disk, etc. 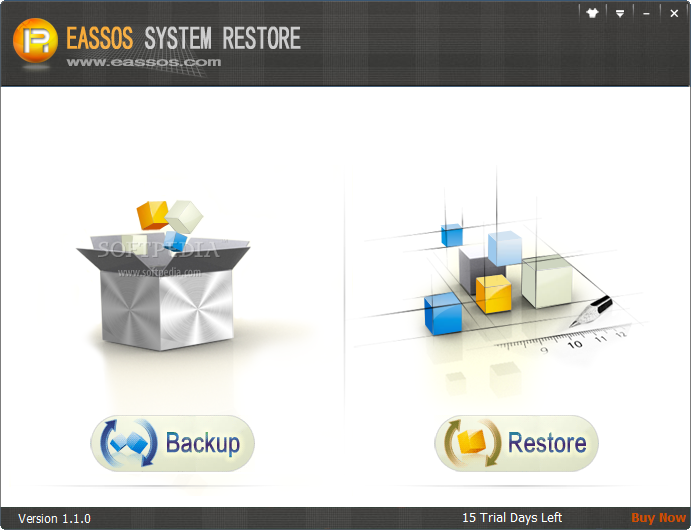 Eassos System Restore is one great solution to back up & restore Windows systems for PC/laptop. It protects operating system, installed application and individual data from any potential risk and damages. User-friendly Android data recovery software works well to recover deleted or formatted photos, videos, contacts, messages and more files from internal storage as well as memory cards of Android phones and tablets. 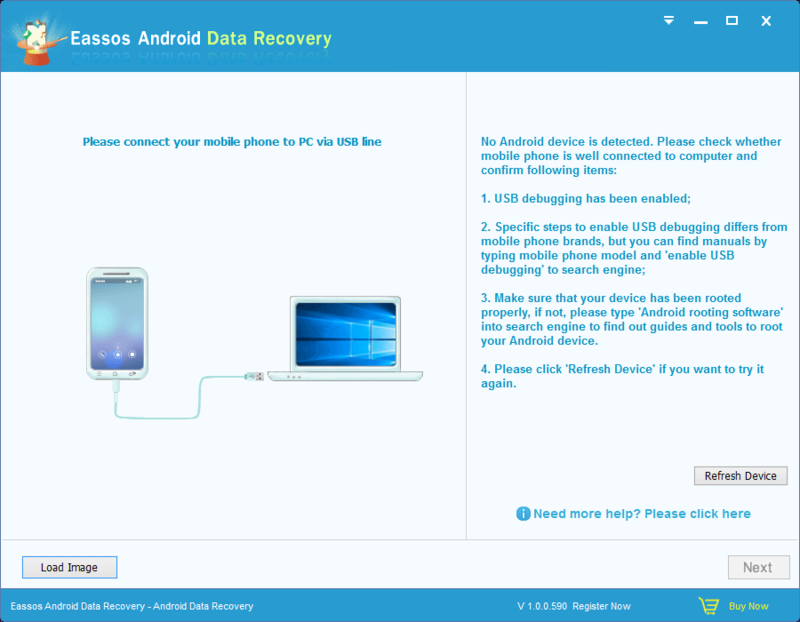 Eassos iPhone Data Recovery helps users easily recover deleted or lost data from iPhone, iPad & iPod touch. 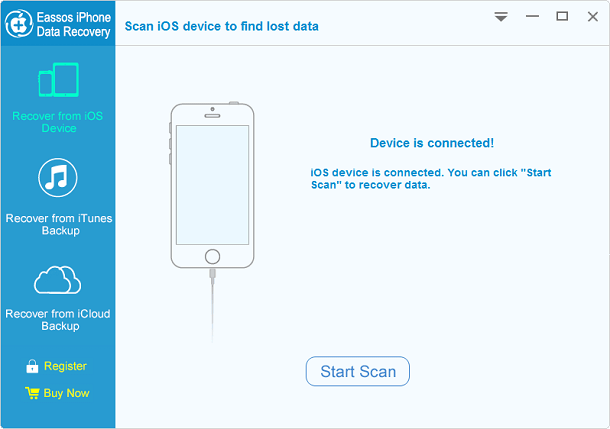 It provides three recovery modes which enable users to recover deleted SMS, photos, contacts, call history, notes from iPhone devices or backups. The developer resolved the issue with the key! Downloaded this two days ago during the giveaway, really dissappointed - i could not register and prog got stuck on splash screen and never opened. I was really looking forward to using this, as reviews all over say it is the best software available to use for this kind of recovery. Hi, hope you can help, Downloaded this two days ago during the giveaway, really dissappointed - i could not register and prog got stuck on splash screen and never opened. I was really looking forward to using this, as reviews all over say it is the best software available to use for this kind of recovery. Downloads , Installs, and Registers easily. Program does work as described! It's a keeper. Recover Files From Partition and Recover Files from Disk show how much MB (but not GB) it has searched as well as what the total size is (but not in TB) and have a progress indicator but don't use commas for the number of files. Recover Deleted Files needs commas for the number of searched blocks and the number of files. None of the above show the number of folders in the tree, though it will give the size and number of files in the tree if they are selected. Recover Lost Partitions has "you can goto mainframe" and "no matter you select" when it finds a partition. Recover Files from Disk has the Recover button disabled. Maybe you have to complete the search before you can try to recover anything. Still, it seems to work. Otwiera stronę www.eassos.com żeby kupić licencję i wyłudzić szczegółowe dane . Uwaga. Program zainstalowany , w polu User Name Elka ( potem z imieniem krzysztofikel Elka ) Registration key przysłany na mój e-mail License E-Mail mój e-mail na który przysłano link do pobrania programu Error The License code is not valid Otwiera stronę www.eassos.com żeby kupić licencję i wyłudzić szczegółowe dane . Error: The licence code is NOT valid on this computer ! when attempting to register I get : Error: The licence code is NOT valid on this computer ! Won't register. When I copy & paste the code, all I get is: Error: The license code is not valid on this computer. Please buy a new license from http://www.eassos.com/eassos-recover/buy.php That's not good. I'm copying and using the registration key in the Readme.txt file. I'm on a Windows 10 computer and am getting the following message, when trying to register:<br><b>Error: The license code is not valid on this computer. Please buy a new license</b> <br>I'm copying and using the registration key in the Readme.txt file. The registration key provided in the Read Me text file is not valid. The problem is not unique to this product but pertains to all file recovery programs. In the process of recovering deleted files, the deleted files are re-written to a 'recovered' folder or location. If this recovered-file-location exists on the same partition as the files being recovered (one hard-drive can contain multiple partitions), there is the possibility the deleted-files you are trying to recover, will be overwritten and then become unrecoverable. For this reason, all competent recovery programs insist that recovered files be written to a different partition than the partition that contains the original deleted files, to avoid the possibility of damaging deleted but still recoverable data. If your hard-drive contains only one partition, you can add a partition or try restoring to flash drive or other external drive. #12: The problem is not unique to this product but pertains to all file recovery programs. In the process of recovering deleted files, the deleted files are re-written to a 'recovered' folder or location. If this recovered-file-location exists on the same partition as the files being recovered (one hard-drive can contain multiple partitions), there is the possibility the deleted-files you are trying to recover, will be overwritten and then become unrecoverable. For this reason, all competent recovery programs insist that recovered files be written to a different partition than the partition that contains the original deleted files, to avoid the possibility of damaging deleted but still recoverable data. If your hard-drive contains only one partition, you can add a partition or try restoring to flash drive or other external drive. Catalyst, Thank you for your thorough explanation! -- and "eassos recovery full", $49 slash, $39. So ... this is worth $69 because ... is it a new product not yet released, and we are beta testers?
. 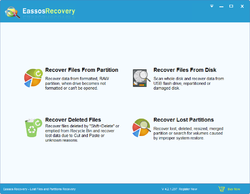 I don't see anything at the eassos.com web site for $69 or labeled "eassos recovery" -- there's -- "eassos recovery free", free, -- and "eassos recovery full", $49 slash, $39. So ... this is worth $69 because ... is it a new product not yet released, and we are beta testers? . 2. how about the portability of this soft? I am confused to see that the developers have not provided any relevant information on GAOTD concerning their offer. Anybody knows answers to my questions? I’d appreciate them. Two questions that, in my opinion, determine the value of such software: 1. does the software has an option to produce a bootable disc with the recovery application, 2. how about the portability of this soft? I am confused to see that the developers have not provided any relevant information on GAOTD concerning their offer. Anybody knows answers to my questions? I’d appreciate them. It does appear to be portable, as Andrew Schneider mentions in comment 14. There is no way however to make a recovery disc. Marek, It does appear to be portable, as Andrew Schneider mentions in comment 14. There is no way however to make a recovery disc. now have I waitet 1 our to be registrered,but the green bar just going forward and back again. Nu har jeg ventet 1 time på at blive registreret,men den grønne markering kører bare frem og tilbage. Thank you GOTD team & Eassos team. Excellent portable program. If installed to Windows System, just copy folder C:\Program Files\Eassos Recovery to any drive, USB or otherwise since registration info is contained in the included Options.ini. Flawless installation! I noticed the gotd setup.exe wasnt used this time! Good idea! I'll play around with this tonight to see how it handles a couple of hard drives I need to recover! Well, this was a bust! When I started to install it, I got a warning message in RED that said do not install in the partition you will want to recover deleted files from or you will lose the files and they will be destroyed forever. Well, hello. I only have one hard drive and it has only the one partition! So much for this program. Thanks for nothing, Eassos. Jahala, all it means is you cant use the program on the hard drive you are installing it on. Which actually makes sense. I got this to recover data from external hard drives. Dito.....Rather annoyed actually as I need a decent recovery programme for a flash drive. Jahala, Ah..... Duh...... You don't know much about computers, do you? If you install the program on the drive where your lost data is, you might overwrite it. Duh..... Don't you think the people that wrote the program assumed that you might not think of that? They were right! Duh..... You're one of those classic cases of someone who is too stupid to use a computer. Jahala, Ah..... Duh...... You don't know much about computers, do you? If you install the program on the drive where your lost data is, you might overwrite it. Duh..... Don't you think the people that wrote the program assumed that you might not think of that? They were right! Duh..... You're one of those classic cases of someone who is too stupid to use a computer. Ed, It does not require a know it all to use a computer Ed, please try to not be so condescending and judgmental! There is NOTHING wrong with installing recovery software onto ones ONLY hard drive if one does not need it NOW... future deleted files may be recoverable by the application installed previously on the same drive with the standard risk that windows normal backround processes could potentially overwrite deleted data clusters at any time. The only way to avoid that is not offered here a USB or CD WinPE environment or maybe a linux liveCD/LiveUSB bootable version that will run without writing anything to the source disk. FWIW Eassos apps look nothing like those from EaseUS. And after seeing dozens of what to me frankly are rather silly brand names, for allegedly gaming mice & keyboards out of China, I've given up trying to make any sense of them. Sorry. I forgot one other thing. Only one of them has valid nameserver listings in who.is. Which means that the one without them (easus.com) is dead in the water at the moment and explains why I got a server not found when trying to reach the site or its indexing. Try searching for EaseUS.com, that's the name of the popular computer software, not as in your spelling. makingmagic, Try searching for EaseUS.com, that's the name of the popular computer software, not as in your spelling. Because of the comments of the two names and possible rip-off companies and more, I decided to do a "who.is" comparison of the two. What I found was a few things not being considered in the comments before mine and a few possibilities arising from this further information. After reading this, you can make your own determinations. But, remember one thing... never look a gift horse in the mouth unless you have no fear of being bitten. You can choose not to take the install and it is your choice. No one is holding a gun to your head. Or you can install and try the product and give a valid reason for disliking and distrusting it. But, you cannot just leave comments without full backup of why you made that determination. 5. Both list multiple "similar domain names" which could be being used by each company respectively. Now, "NONE" of the above can be used to prove that this is not the same company or that it is. People move and often move their companies also ... there goes the address complaint out the window. People often change hosting and/or transfer domain names and even buy multiple domains related to their main domain and even as misspelled names... there goes that complaint out the window. Different owners but if you notice the eassos.com is registered to a person and the easus.com is registered with the privacy protection on it which means it could be the same owner who has gotten much wiser or not... take the information at your discretion. Domain expiry dates differ... How many of us have multiple domains and decide to let one lapse or wait until the last minute to renew because of cash flow issues? How many of us hold multiple domains and decide not to carry domains after a time period simply because it is cheaper and the domain is not doing as much as the rest are? Personally, I hate GoDaddy with a passion. Did any of the complainers bother to look at the easus.com and see that it is registered not only with GoDaddy but that it expires on the 30th of this month while the eassos.com domain has been paid for until 2019. I learned the hard way that GoDaddy loves to cheat people and steal valid good domains whenever they can. I believe this may be the case with this. GoDaddy has it locked for no renewal by owner and other locks. I tried the site and got server not found for easus.com. However, eassos.com is working as we know from downloading the software. As I said take this at your own discretion, but with GoDaddy involved and the expiry dates not only different but the GoDaddy one ending soon... I put my trust in the software. And yes, I even believe that maybe, just maybe, the business is doing well enough and the owner moved to a new country so why not move their business also. Take this all for what it was meant for... to try to clear the air on the half hearted attempts to scare people away from a "FREE" offer. I read the previous comments and would like to add something to the ones who are questioning the name of the company. As for the product... I had no issues installing the product and will register it later today when I do a proper search for lost data. In the meantime, I felt it important to leave this message now for everyone to take at face value and under their own discretion. Here is why: Because of the comments of the two names and possible rip-off companies and more, I decided to do a "who.is" comparison of the two. What I found was a few things not being considered in the comments before mine and a few possibilities arising from this further information. After reading this, you can make your own determinations. But, remember one thing... never look a gift horse in the mouth unless you have no fear of being bitten. You can choose not to take the install and it is your choice. No one is holding a gun to your head. Or you can install and try the product and give a valid reason for disliking and distrusting it. But, you cannot just leave comments without full backup of why you made that determination. Comparison Easus.com vs. Eassos.com: 1. Different registrars 2. Different address (even different country) 3. Different contact phone numbers 4. Different listed owner 5. Both list multiple "similar domain names" which could be being used by each company respectively. 6. Different registration dates of expiry Now, "NONE" of the above can be used to prove that this is not the same company or that it is. People move and often move their companies also ... there goes the address complaint out the window. People often change hosting and/or transfer domain names and even buy multiple domains related to their main domain and even as misspelled names... there goes that complaint out the window. Different owners but if you notice the eassos.com is registered to a person and the easus.com is registered with the privacy protection on it which means it could be the same owner who has gotten much wiser or not... take the information at your discretion. Domain expiry dates differ... How many of us have multiple domains and decide to let one lapse or wait until the last minute to renew because of cash flow issues? How many of us hold multiple domains and decide not to carry domains after a time period simply because it is cheaper and the domain is not doing as much as the rest are? Personally, I hate GoDaddy with a passion. Did any of the complainers bother to look at the easus.com and see that it is registered not only with GoDaddy but that it expires on the 30th of this month while the eassos.com domain has been paid for until 2019. I learned the hard way that GoDaddy loves to cheat people and steal valid good domains whenever they can. I believe this may be the case with this. GoDaddy has it locked for no renewal by owner and other locks. I tried the site and got server not found for easus.com. However, eassos.com is working as we know from downloading the software. As I said take this at your own discretion, but with GoDaddy involved and the expiry dates not only different but the GoDaddy one ending soon... I put my trust in the software. And yes, I even believe that maybe, just maybe, the business is doing well enough and the owner moved to a new country so why not move their business also. Take this all for what it was meant for... to try to clear the air on the half hearted attempts to scare people away from a "FREE" offer. makingmagic, thank you for this discussion. I think your arguments are valid. I just visited both sites and found these two companies sell almost similar software. The very first time I read Eassos, Easeus came to mind. I have had good experience with Easeus Partition Master Home Edition. morriscox@gmail.com, Easso is not Eassos! morriscox@gmail.com, Easeus.com is online since 2004 and Eassos.com is online since 2010! Do you have any information that contradicts me? nibo1978, read comment 1 by Nigel. Also, the Wayback Machine by archive.org started in 2001. Archive.org itself is from 1996. https://en.wikipedia.org/wiki/Wayback_Machine and https://en.wikipedia.org/wiki/Internet_Archive Do you have any information that contradicts me? Is the application portable ? Amazing Software! One of my USB drives had gotten corrupted because of a virus infection which had erased the boot sector... Tried about a dozen different tools and nothing could fix it! 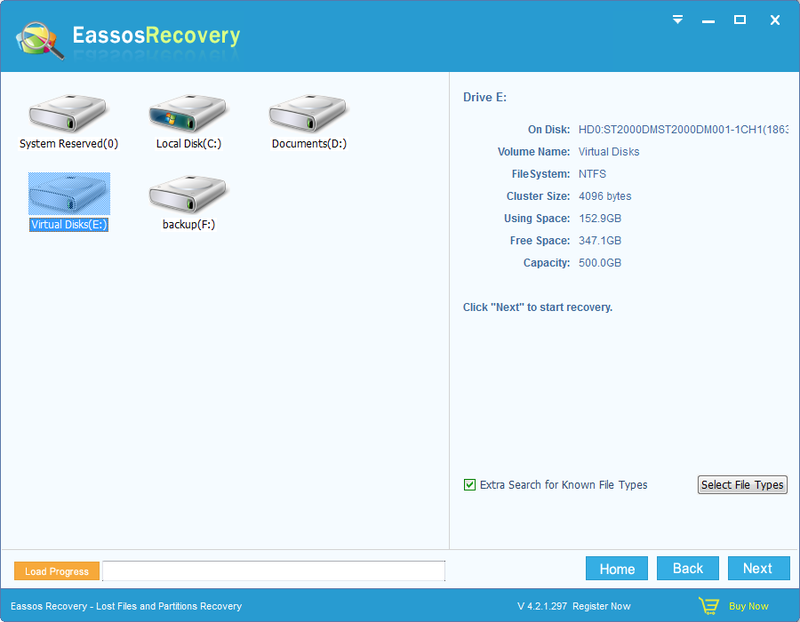 But the "Recover Lost Partitions" option fixed it in a minute! Very useful utility and a trusted name in technology! Thanks for the gift. Well, it MIGHT be a rip-off... but really, would any Chinese company use a name that was so similar to another Chinese company? I somewhat doubt it, personally. They do have LAWS in China, you know.. (!) The company is located in Qinhuangdao, a port city on the coast of China's northeastern Hebei province, nearly 200 miles from Beijing. I could be wrong, but I would suspect the owner of both companies is the same -- it is just another brand name, perhaps of a "cheaper" version. Remember how Philips Electrical used to have about four or five different brand names in the (showing my age here....!) sixties and seventies: Philips, Stella, Cossar, Sierra (in the US), etc.? Actually, I would love to give this a try, to hopefully regain the data purposely wiped off a couple of my HDDs by someone who was close to me -- but right now, although the ReadMe provides the licence number, I cannot find where to enter it! No need for that . there is a down looking arrow . If clicked you get a drop-down menu . Above the "About" tab you will see the "register" tab . Tranmontane, No need for that . When you run the program , at the upper right corner , there is a down looking arrow . If clicked you get a drop-down menu . Above the "About" tab you will see the "register" tab . Click it and and follow the instruction of the read me text file . There is a downward-pointing arrow on th eTop-left of the opening page of the software. Click it and you will see among the dropdowns, one that says "register". Click on that and it would open a small window in which you cam enter your Name, Email, and the registration code. Tranmontane, in the upper right corner there is an icon that is a bar with an arrow pointing down. Click on that and choose Register. 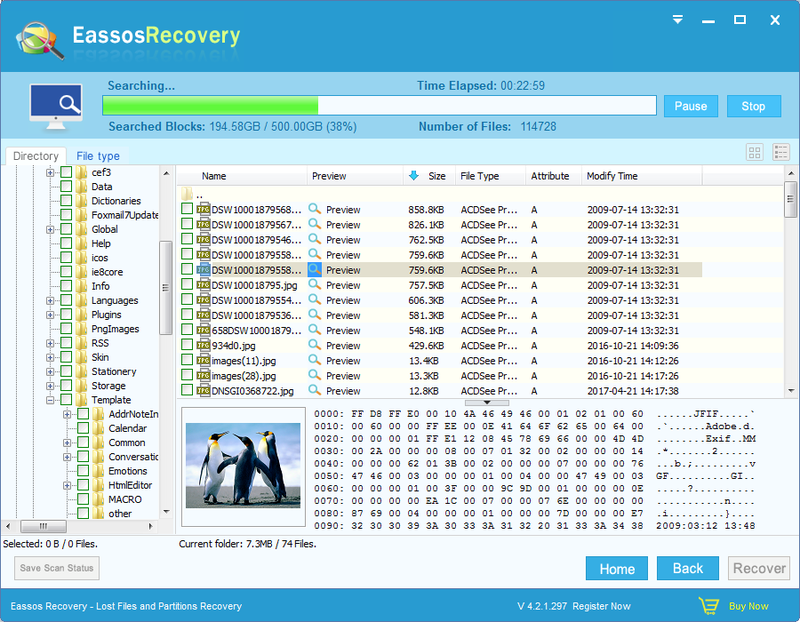 I have on my computer Easeus Data Recovery Wizard 5.0.1, which was available on GAOTD on February 16, 2010; version 11.5 is the current one. It's a suspiciously similar name, so I think we should know if this product is an imitation (or, not to beat about the bush, a rip-off) of the Easeus program. The other Eassos products also reflect the EaseUS range: for instance, I have used (and liked) Eassos Partition Guru; Easeus offer Partition Manager. Both companies are Chinese. What is going on here? If they are trying to sell their product using a name similar to the known and respected EaseUS then I find this bad business practice and I for one will not be downloading. With all due respect, I know the address of the popular and known EaseUS.com, maybe you directed that comment to me instead of "makingmagic" (comment 8), who seems to be looking for a wrongly spelt company name. Adrian, With all due respect, I know the address of the popular and known EaseUS.com, maybe you directed that comment to me instead of "makingmagic" (comment 8), who seems to be looking for a wrongly spelt company name.